Henry Williams graduated from Plymouth University in 2012 with a BA (Hons) in 3D design. During his time there Henry worked under Roy Tam, where he became fascinated by the art of steam bending wood. The skills he picked up at university led him to win the Public’s Choice Award at the New Forest Trust Fine Crafted Wood Competition with a steam bent oak bench in 2011. After leaving University, Henry launched Henry Williams Design in July 2012. 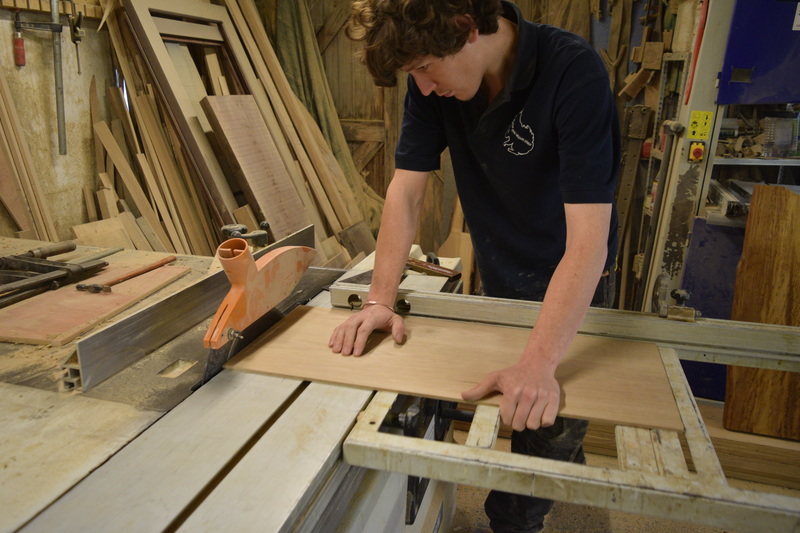 Since launch, Henry has expanded his skill set beyond just making bespoke furniture, and has been making oak doors and windows for Sussex listed buildings. Henry’s inspiration for his unique style and work comes from the rural surroundings in which he grew up. An advocate of sustainably sourced materials and local businesses, he always tries to use the best local materials from the surrounding areas.